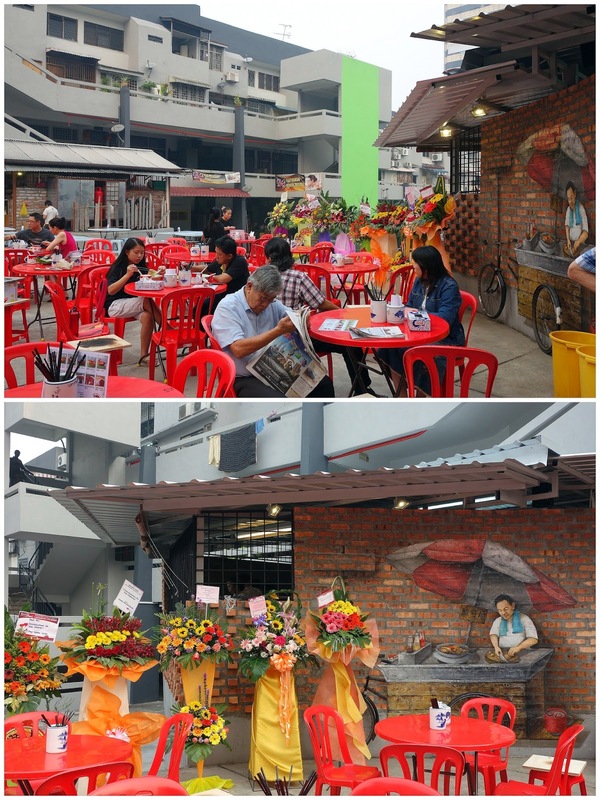 Taman Desa's newest hotspot is an outdoor venue that serves Hakka yong tau foo uniquely smoked over charcoal grills; it also features a mural of its founder's father that's destined to become the focus of a thousand Instagram snapshots. 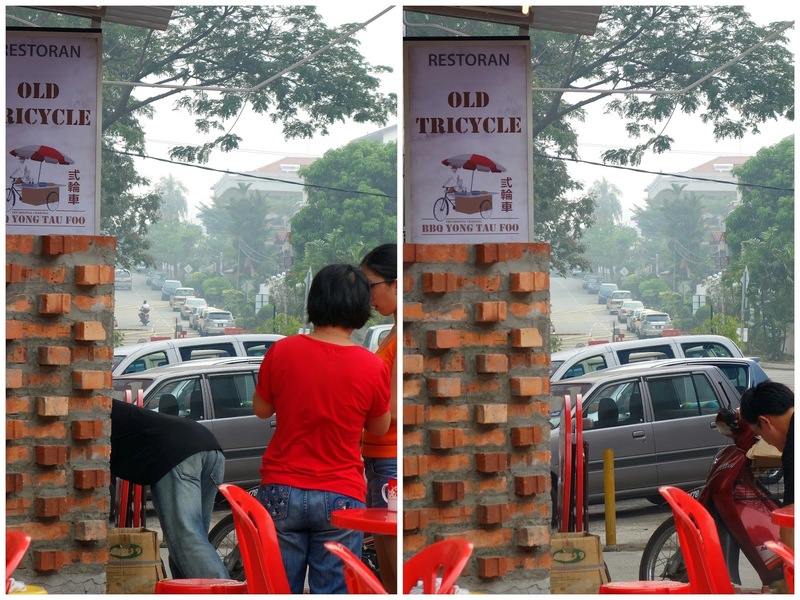 Old Tricycle has its origins in Pudu's five-decade-old Choon Kee Hakka noodle stall, a business handed down through generations of the Siow clan. 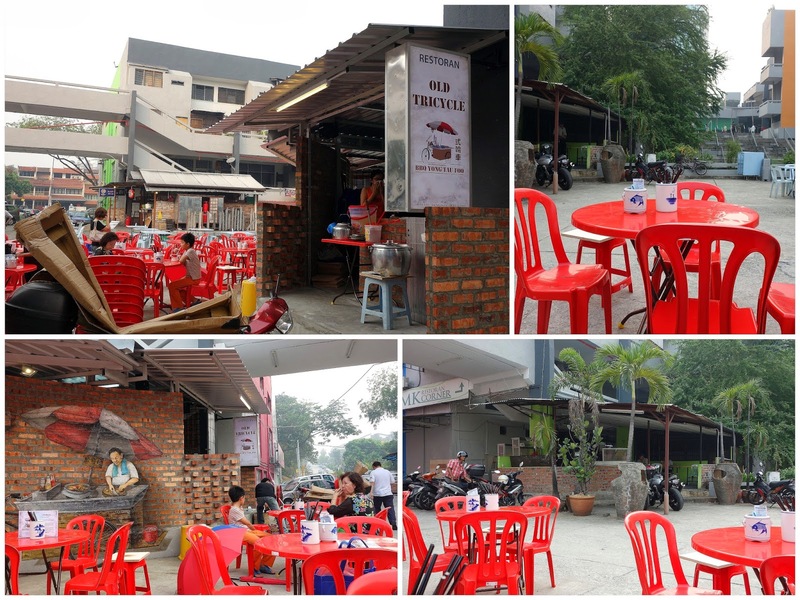 Enterprising family members have now embarked on this Taman Desa business as a possible spin-off franchise. 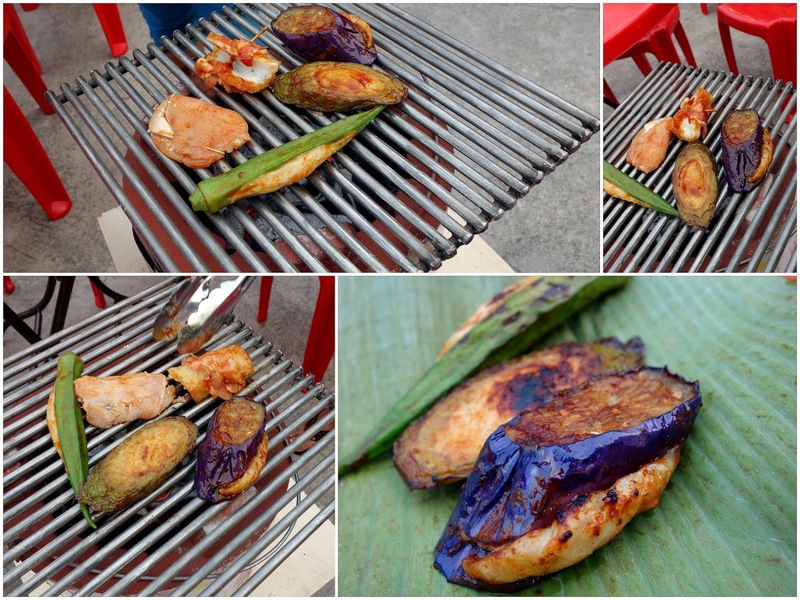 The selection comprises slices of fish-&-pork paste with bacon, brinjal, bitter gourd, okra & more, coated in hickory barbecue sauce. Most cost RM1.30 each, with only one hitting the RM2.50 mark. All cooked at the customer's table; it's a nice novelty, though Old Tricycle seems to have teething troubles with its staff that makes patience a recommended virtue. Flavour-wise, everything's tasty enough; we'd happily wolf down as many of these as possible. Also addictive: Slippery chee cheong fun, served with the likes of fried pork skin, curry & sambal (RM2.90). Other variations with assam sauce & more are available. 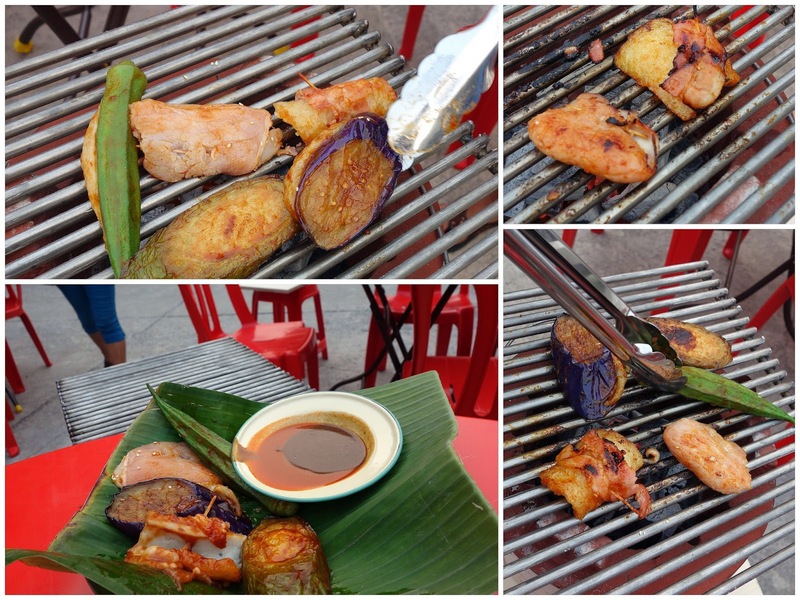 Old Tricycle's location is easy to find: It's a neighbour of this neighbourhood's Gerai Makanan Japanese BBQ. It's next door to the Japanese BBQ? Does it serve alcohol? I prefer the soup version. BBQ yong tao fu! 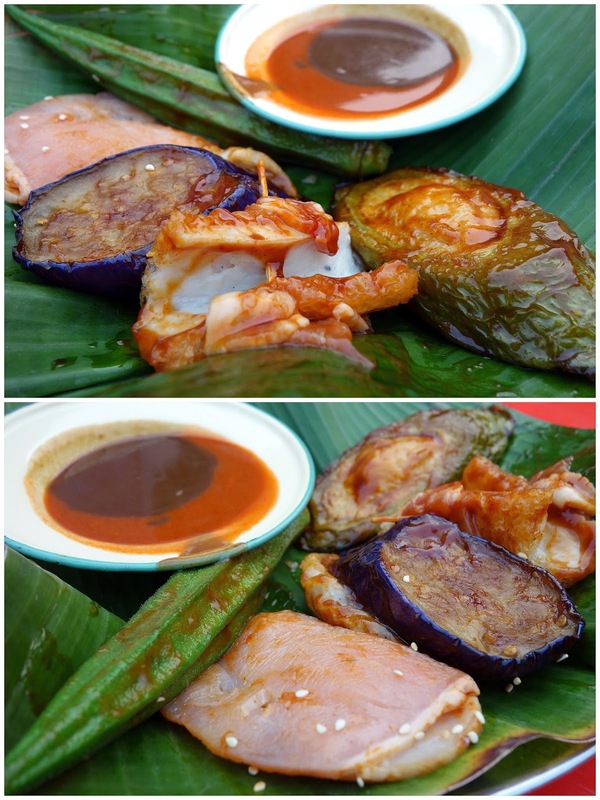 This is the 1st time I heard about it, and the marinate looks delicious! Nice mural - you are probably right, would see thousands of Instagram photos of that for sure. It kind of reminds me of the street art in Penang. Looks like a little piece of Penang with the wall art. I love the wall mural!!! This place is bright, cheerful and has some great scenery, Sean!!! Wow, love this! Ohh traditional biz taking it up a notch with modern setting and retaining the old taste? Sounds cool! I love YTF!! Must try this one! 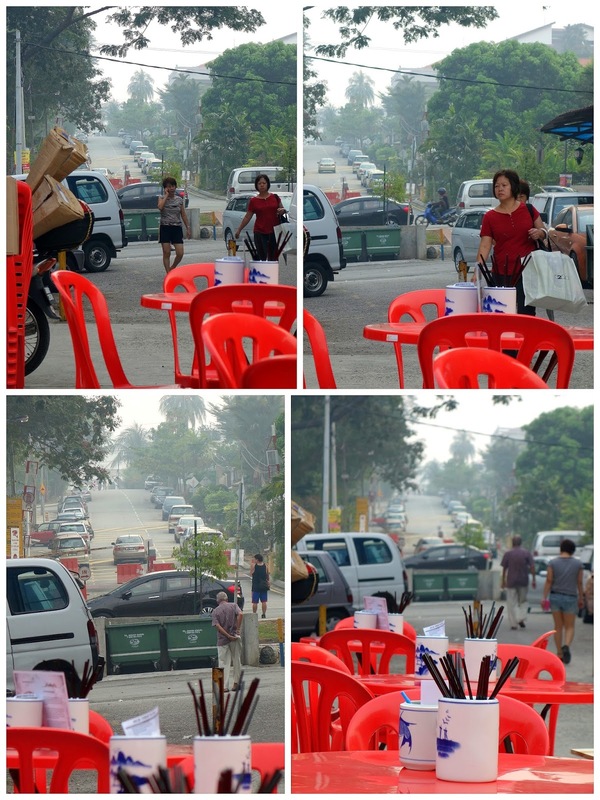 interesting, bbq yong tau fu!!!! perhaps can go on daytime, nighttime i cant view the beauty of the wall mural~ woohooo! BBQ yong taufoo - not sure if people have the patience to do this since you said the staff can be somewhat "distracted" hehe! Worth a try for the novelty. How's the fishpaste - any detectable flavours of pork and salted fish in it...in true Hakka style? same theme as the japanese bbq kan? very smart move, looks good too!